Flickr/foodtograpiyaPapa John’s is selling less pizza to NFL fans. Papa John’s sales during NFL games have reportedly fallen since Trump slammed players for national anthem protests. 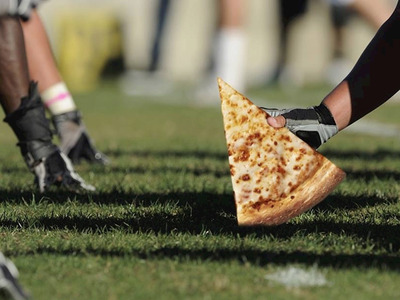 The pizza chain and other top sponsors have brought up concerns with the NFL. 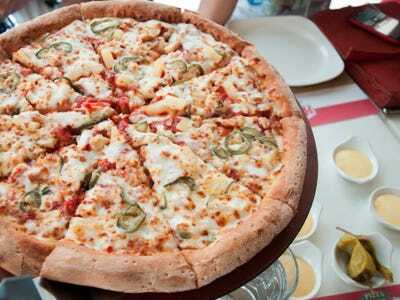 Papa John’s relies on its “exceptional” partnership with the NFL for sales, as viewers buy pizza to eat at home. The NFL protests might be hurting Papa John’s pizza sales. Papa John’s in-game pizza sales have fallen since President Donald Trump encouraged people to boycott the NFL in late September, sources told the Sports Business Journal. NFL spokesperson Joe Lockhart confirmed to Sports Business Journal that Papa John’s had expressed concerns with the league. Further, Lockhart said that other top sponsors have expressed similar concerns as the NFL’s TV ratings slump and political battles play out in the league. This season, many players have knelt during the national anthem to protest racial inequality and police brutality. Trump tweeted in late September that players kneeling are “disrespecting our Flag & Country.” Many of the president’s supporters agreed, cancelling NFL TV bundles and burning merchandise. Declining viewership isn’t a new problem for the NFL, as ratings were down an average of 8% over the course of last season. The league has struggled in recent years to attract viewers, with people blaming everything from the 2016 presidential election, to millennial cord-cutters, to excessive commercials. The NFL is crucial to Papa John’s business. The company began its partnership with the NFL in 2010 and has “Preferred Pizza” partnerships with 23 NFL teams. Last year, the company signed a multi-year partnership with the NFL and the Super Bowl.